Justice Vikramjit Sen has recused himself from hearing a plea by real estate tycoon Gopal Ansal who was convicted in the Uphaar fire tragedy case. Ansal sought permission to visit London and New York on a business trip. The Supreme Court judge reportedly asked the case to be listed before another bench. The other judge in the bench is Jutice Shiva Kirti Singh. Ansal needed to meet financers, investors and architects, in order to discuss investment proposals for 45 acres of land belonging to M/s Ansal Buildwell Ltd and associate companies in Kumrakom, Kerala. Also he needed to explore real estate development ventures in and around US. Gopal and his brother Sushil Ansal were the owners of Uphaar theatre in Green Park area of south Delhi. Fifty-nine cinegoers including women and children were suffocated to death when fire broke out in 1997 as fire safety measures were not in place. Both the brothers were restrained by the Supreme Court in April, from leaving the country without its consent. 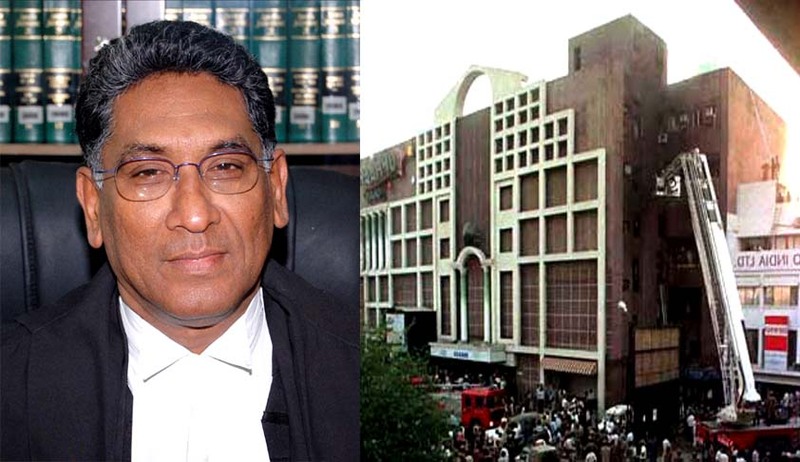 The Association of Victims of Uphaar Fire Tragedy (AVUT) had moved the apex court, requesting its intervention to prevent Ansal from going abroad without the court’s nod. The Supreme Court, on March 5 had upheld the High Court order convicting Gopal and Sushil Ansal for 1997 tragedy. The Delhi High Court in 2003 had awarded compensation of Rs 18.5 crores to be paid — Rs. 18 lakh to the next of kin of each victim above 20 years of age; Rs. 15 lakh for victims below 20 years of age; and Rs 1 lakh each to the injured. The court ordered that this be paid with nine per cent interest. However, the two-judge bench of the apex court, comprising of Justice T S Thakur and Justice Gyan Sudha Misra, differed on quantum of punishment to be awarded to the Ansals, and consequently referred the issue of fixing the quantum of punishment to a three- judge bench in view of the difference in opinion between the two judges. While Justice Thakur had favored one-year term for Sushil and Gopal upholding the sentence by the High Court, Justice Misra had reduced Sushil’s jail term to the sentence already undergone by him considering his age, but enhanced Gopal’s sentence to two years. Justice Misra had also imposed a fine of Rs. 100 crore on the Ansal brothers to be used for construction of a trauma centre and super-speciality hospital. Read the Live Law story here, and judgment here.